RideTech specialise in air and coil suspension components, parts, and kits for hot rods, pro touring, trucks and aftermarket applications of all kinds. Cruisin Automotive is the only WA authorised Ridetech dealer. RideTech manufactures exciting suspension systems that improve the handling and ride quality of your muscle car, truck, Corvette or hot rod. From air and coil suspension components, parts, and kits for hot rods, pro touring, trucks and aftermarket applications of all kinds. RideTech makes the most popular and reliable air bag suspension systems available for your classic Chevy, GMC, Pontiac, Ford, Dodge, and more. 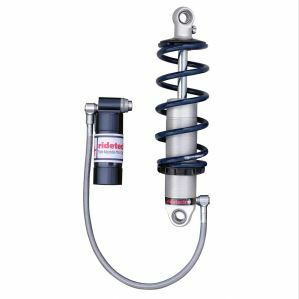 HQ Series Shock Absorber – Rebound Adjustable (Sold Each) Smooth body shocks are specifically developed to fit into a variety of stock shock locations. They provide a great way to improve ride quality without reworking an entire suspension design. 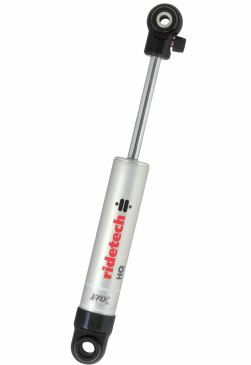 RideTech’s Universal Weld-In 4-Link kits are designed for custom applications. 4-Link Kits locate the rear axle and allows for custom ride height. Though welding is required, our brakcets and tabs greatly simplify the process. The Universal 4-Link can be equiped with either RideTech air springs or with coil-overs by using our cross member kit. 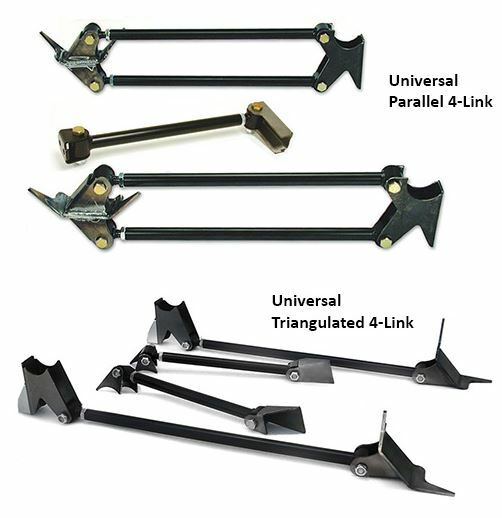 The 4-Link comes in two designs: Triangulated and Parallel, each with their own advantages. 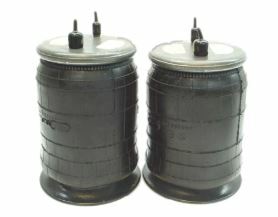 A wide range of coilovers are available by stroke length and mounting type. RideTech offers coil springs in a wide variety of spring rates and lengths, as well as custom length mounts and caps. 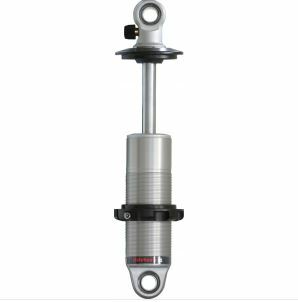 Universal HQ Series Coilover Single Adjustable Front System, Rear System. HQ Series Universal Coilovers provide high performance handling, exceptional ride quality and incomparable reliability. HQ Series Universal Coilovers can be custom configured for pro-touring cars, street rods, customs pickup trucks and pro-street cars. Universal TQ Series Coilover – Triple Adjustable. RideTech TQ Series Universal Coilovers provide competition-ready handling with exceptional ride quality and incomparable reliability. TQ Series Universal Coilovers can be custom configured to virtually any length or mounting style necessary. 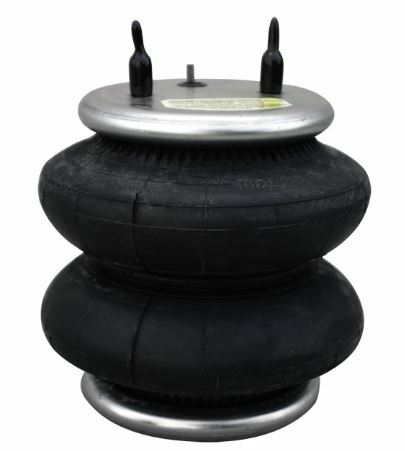 This airspring has a capacity of 3400lbs @ 150PSI. Min. height: 3″. Ride Height: 5-5.5″. Max Height: 8″. Diameter (Inflated): 8″. Note for double convoluted air spring: Firestone double convoluted air springs DO NOT require a bumpstop to avoid damage, however, your specific application MAY require a bumpstop to maintain a safe ground clearance when deflated. 1/4″ port. Capacity per airspring @ 100psi = 3500lbs. Maximum operating pressure = 100psi. Minimum height = 6.5 inches. Installed height = 10.5″. Maximum height = 16.0″. Inflated diameter = 9.0″. We have a large range in stock. Can’t see the product you are chasing? No problem. CRUISIN AUTOMOTIVE will source the product for you. Ring Ian now on 0417 911 702.